Creative music practice in one of India's film music industries entails understanding and implementing idiosyncrasies that are derived from local socio-cultural realities. Such peculiarities mediate the synthesised application of plural music theories and creative use of modern music and sound technologies. While there exist many opportunities to study various forms of music and/ or the use of modern music technologies, options to learn the semiotics of popular Indian film music along with musical and technical skills are practically non existent. Moreover, Indian film music's dominant role as the region's popular music, its eclectic musical makeup, growing global outreach and the compounding interest amongst young aspirants point towards a need to create more awareness on the intricacies of composing and producing Indian film music. This ideology has led to the founding of the School of Indian film music that offers courses that are directly related to professional music practice in Indian film industries. The level of participation we expect and the assignments we set reflect the high standards of the School of Indian film music. Our learning environment provides a total immersion method, in which you examine subjects in depth and to deadlines, with regular assignments, assessments and evaluation. The delivery is based on a hybrid design that involves a combination of personal/group lectures and practical lessons. This is accented with online access to audio/ video tutorials and reading and reference materials. You will receive regular feedback and grading from your instructor, based on classroom participation as well as practical submissions. The learning approach is based on real-life participation with emphasis on professional performance. In our programs, you will be evaluated on the ability to understand and demonstrate knowledge and skills with clarity, through practical deliverables. Divakar is a music composer, percussionist and academic researcher. 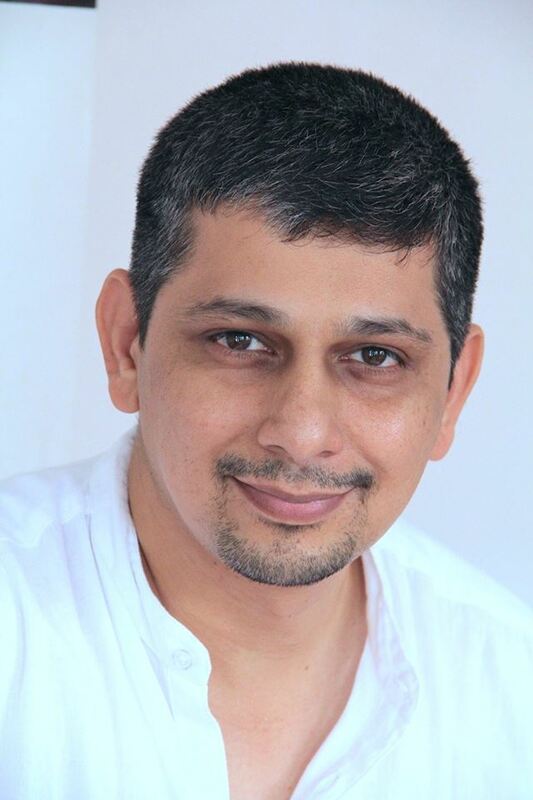 He works in India's advertising and film music industries and has more than 300 projects that include a wide range of radio and television commercials and film songs to his credit. Concerts across India, United States of America, Switzerland, Turkey and the United Kingdom, and collaborative work with musicians and artists from Sri Lanka, Switzerland, Belgium, France, Germany, Italy, Greece, Ireland, Hungary, England, Wales, Scotland, Nigeria and the USA, have had a significant influence on his compositions. Her is one of the few privileged Indians to have performed at United Nations, New York. Divakar hold a Master of Science degree from the University of Glamorgan. After working as a lecturer at the Department of Drama and Music, Cardiff School of Cultural and Creative Industries, University of Glamorgan for six years, Divakar returned to Indian to establish the School of Indian Film Music (SIFM). He is also attached to the Skillset Screen Academy, Wales, member of the British Forum for Ethnomusicology and the Association of British Scholars in India. SIFM’s academic council is responsible for the overall academic design and structure of all courses. It will also evaluate new courses, review course curriculum, academic progress, knowledge transfer with the film industry from a wider societal and global perspective. Council members will consist of senior academics from around the world, film industry professionals and practitioners whilst also including student representatives. The academic council will convene once every six months for perusal. An award-winning Indian film music director and music composer in the Tamil, Malayalam, Telugu and Hindi film industry. A household name in south India, he is a recipient of the prestigious National Award in 2005, a six time recipient of the Tamil Nadu State Award for Indian film music. Paschall is a principal Lecturer at the Department of Drama and Music, Cardiff School of Creative and Cultural Industries, University of Glamorgan at Cardiff. He teaches music engineering, production and sound design with research interests in areas related to phenomenology and electroacoustic music. Paschall is attached to the Skillset Screen Academy, Wales. Tina K. Ramnarine is an anthropologist, musician and Professor of Music at Royal Holloway. Her interdisciplinary research draws on social theory, performance and multi-sited ethnographic work with a focus on music, globalization, identity politics and environment. She co-convenes the Royal Holloway Postcolonial Research Group. Currently, she is the UK representative on the International Council for Traditional Music (UNESCO NGO), an Associate Fellow of the Institute for the Study of the Americas, and an advisory panel member of African Musicology Online. She is a former Chair of the British Forum for Ethnomusicology (2005-08) and co-editor of Ethnomusicology Forum. Professor at the University of Nantes, a member of the Centre Norbert Elias (Avignon, EHESS, ENS-LSH) and associate researcher at the laboratory G. Friedmann (Paris 1-CNRS), Philippe Le Guern teaches the sociology of culture and media. His work focuses on the contribution of media and popular culture in the construction of social identities, whether professional identities (with film editors, programmers music) or gender identities (with fans). His themes include teaching sociology of public music, music and technology and culture and power relations. Dr. Kristen Rudisill holds an M.A. from the University of Chicago Divinity School and a Ph.D. in Asian studies from the University of Texas at Austin. She has been teaching in the department of popular culture at Bowling Green State University for the past 4 years. Her research focuses on Indian theater and film dance and she has published several articles in journals such as South Asian popular culture, studies in musical theater, text and presentation, and the Asian theater journal (forthcoming 2012). 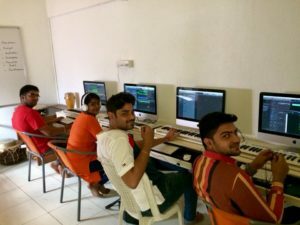 Divakar teaches contemporary Western music theory, music composition for moving image, song composition, digital audio recording, film sound and creative music technologies. Divakar's research interest include various aspects of creative audio practices related to Indian cinema and Indian popular music including film scoring, application of technologies, creative spaces, generic song composition and improvisation techniques. Charles teaches physics of sound, signal processing, audio mixing and mastering. With over 20 years of experience in south Indian popular music industry, Charles has held a variety of positions in Chennai's reputed audio production studios. He has worked with top music composers, producers, actors and technicians to publish audio for various media including , radio, television, theatre and media releases. Get in touch with us to know more about what you can gain by studying at SIFM.